Using this feature you can send a message to multiple friends at once without knowing each other. To access this feature open app, there will be three options CALLS, CHATS, and CONTACTS, click on CHATS then click on the menu (three dot ellipse) on the top right corner and select “NEW BROADCAST”. Now select the friend list to which you want to send message, after selection click on tick mark on the bottom right corner as shown in picture. Once you selected intended recipient now you can type message that you want to send commonly without knowing each other. This is a Great feature that you must use try. Do you know you can send WhatsApp messages in bold, italics, or strikethrough format too? Yes you can, to do this you simply put the special characters before and after the words to make it formatted as per your choice. If you want to make a word bold then simply put asterix before and after the word (*hello*), to make italic word simply put underscore before and after the word (_hello_), and to make a word strikethrough use tilde (~hello~) before and after the word. We all use WhatsApp for instant messaging regularly. We do lots of chat with friends but sometimes some important messages like phone numbers, addresses, and some other important information also mixed in the regular chat which gets lost in all the digital chatter. 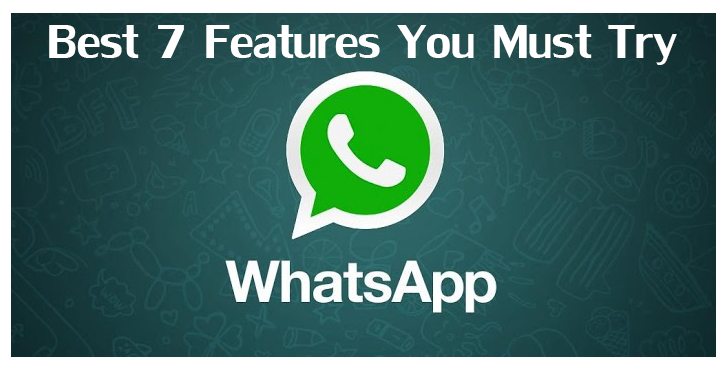 Finding any important information is so tedious task from the big chatter but there is a great feature available in the WhatsApp application to find quickly that important information without scrolling the whole chat. 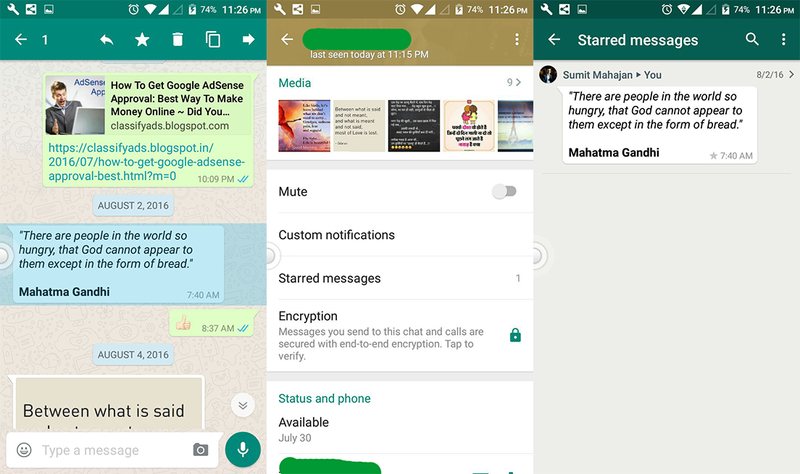 Now you can bookmark important information in WhatsApp chat. If you have any important message then just select that message and click on star at the top where multiple whatsApp options are available. Now that message is saved as starred message for that contact. 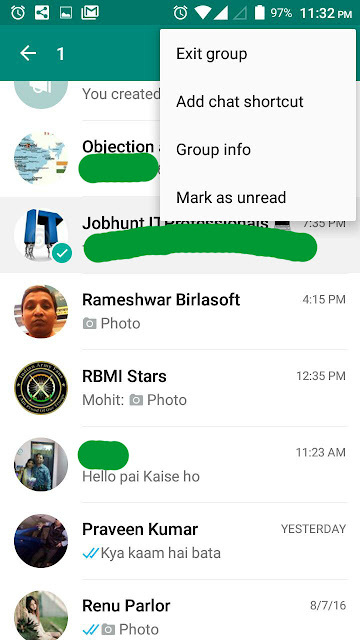 If you want to see those starred messages then select that contact in WhatsApp contact list and select “View Contact” from menu at top right corner. Here you can see the starred messages that you bookmarked. Awesome, it is here…. 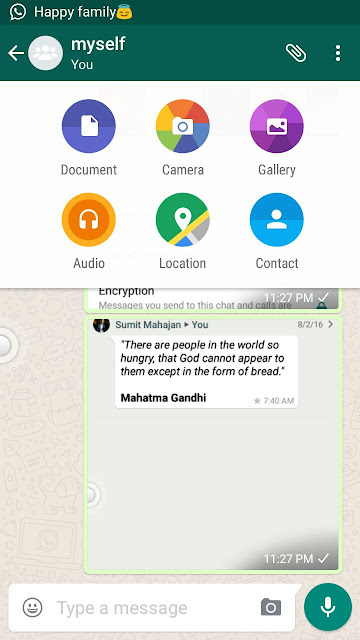 Now you can send and receive documents using WhatsApp. Earlier you were able to send photos and videos only but now you can also send and receive, PDFs, word files, excel spreadsheets. If you are doing chat with someone and want to send some documents then just click on attach icon on the top bar near phone receiver icon, now you will be able to see options like Documents, Camera, Gallery, Audio, Location, and Contact. If you select “Document” option then you can select any kind of document to send to the recipient. 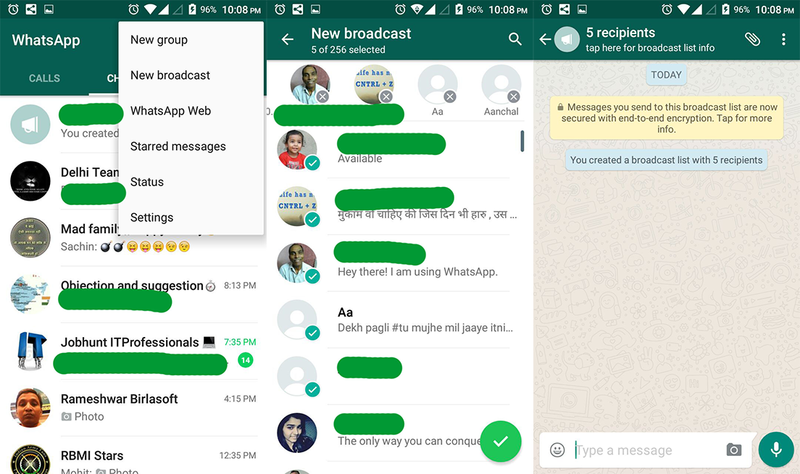 If you regularly chat with some selected friends or then you can create can create chat shortcuts for them to reduce the time to open WhatsApp and searching for the name to start conversation. Just open the WhatsApp Chat contacts and select the contact for which you want to create shortcut. Once you select then go to the top right menu and click on “Add Chat Shortcut”, now this contact will be saved on home screen for chatting. You can use whatsApp on your pc if you are more comfortable on it. To do this you just connect your mobile phone with PC which is using WhatsApp web. Just go to web.whatsapp.comand scan QR code on your screen with your mobile phone (from settings and WhatsApp Web). Once scanned then the entire WhatsApp chat will be seen on your desktop browser. If you want to download any WhatsApp software or app for your PC then you should go to ‘http://whatsapp.com’. To use this feature your mobile phone and PC need to be connected to the internet. 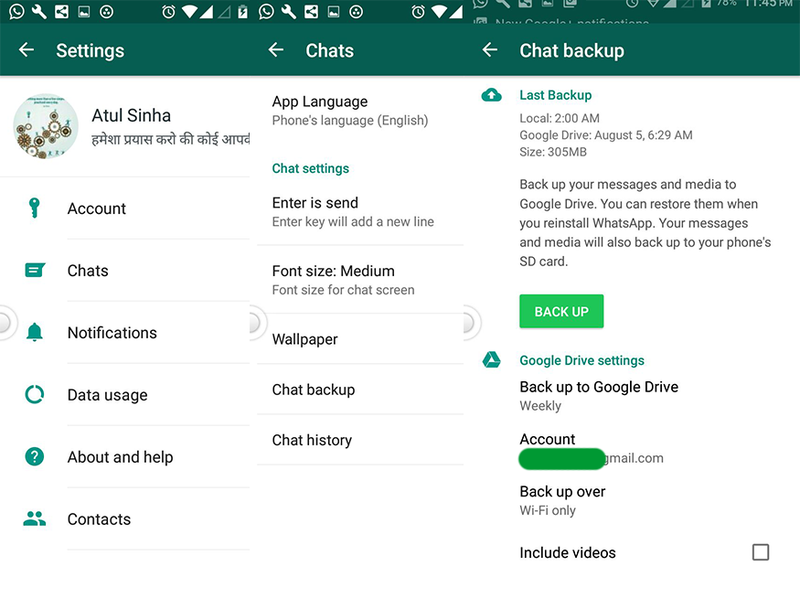 If you are doing some important chat which you want to keep safe as a backup then you can keep it on GoogleDrive and later anytime you can restore it from there to your whatsapp chat. One also important benefit of this backup is that it will free phone storage via keeping your old history chat on Google Drive. In the new version of WhatsApp for Android lets you automatically backup your chat history to the Google Drive. For taking backup to Google Drive first go to the chats option in WhatsApp then Go to the menu at top right corner and select settings, in the settings window you will be able to see Chats and Calls click on it, now a chat option window will be opened, here you will se Chat Backup click on it, and finally you’ll be Chat Backup screen where there are multiple backup options setting available. On this screen you can schedule backup time like, Never, Only when I tap Back Up, Daily, Weekly, and Monthly. You can set your Google Account on which you want to keep you Back Up. You can set Backup over options and you can include or exclude videos from the back up. After final setting just click on Back Up button to take Backup which will keep then whole chat history of all contacts to Google Drive.